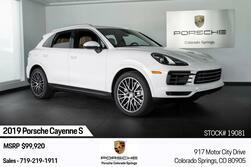 Welcome to Porsche Colorado Springs, the premier destination for luxury sedans, coupes and SUVs in Colorado Springs. We are proud to be a certified Porsche dealership serving drivers from across the region, including Denver, Boulder and Breckenridge. Here you will find an incredible array of new and certified pre-owned Porsche models, including the 911, Panamera, Cayman and Macan. We also have a dedicated Porsche service center and a financing department onsite to serve you better. 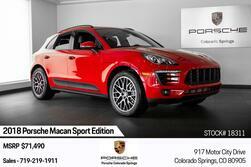 Experience the Porsche Colorado Springs difference with a visit to our beautiful location today! I first met Tony Cagle about 8 months ago, and have now purchased two Porsches from him. 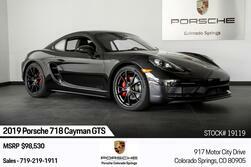 Tony, and the rest of the staff that I have dealt with (Justin Underwood, Andrew, Marcus, James, Ted....) at Porsche of Colorado Springs are amazing to deal with. Their focus on the customer reminds me of the staff at the Broadmoor Resort down the road from the dealership. Tony is ... very professional, thorough, low pressure, and truly cares about his customers even after they have left the showroom. He was more than happy to spend as much time as I wanted going over the features of the car, how to set things up, etc. Tony's focus on his customers has made me a customer for life. 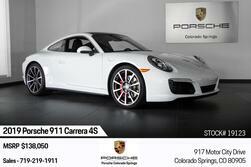 Thank you Tony Cagle and Porsche of Colorado Springs! My wife and I worked with Nancy Victor and our buying experience was outstanding. Nancy was very helpful showing us all of the cars in which we had interest and arranged for us to drive them all. She also provided extensive information on every car so we could evaluate maintenance records and history. Overall this was a low pressure and extremely fun process which is ... unusual in my past experience with car dealers. I highly recommend working with Nancy if you are in the market for a car. Absolutely awesome! I dreaded going to buy a new car, but instead I left the dealership with a new car and a smile. Sean was fabulous to work with and redeemed my faith in car salesman. Justin worked with me on my trade-in and working a deal on the car I wanted. My car was spotless and even the lot tech took great care of me! Love this dealership! 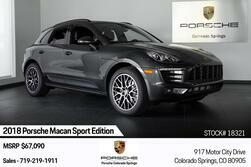 Thanks, Porsche of ... Colorado Springs, for a great experience! 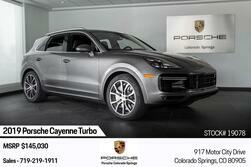 If you value honesty, integrity, and individualized customer service...Porsche Colorado Springs will not disappoint! From the moment I entered the showroom until the final moment when I drove off the lot, it was clear the entire staff was there to serve. Every single detail/option was covered in depth but not from a position of up-selling or pressuring you into buying ... something you may not actually want or need. It was done to ensure that the vehicle purchased would fit every specification the user desired. Our salesman, John Dyste, has a true servant's heart and went above and beyond the transaction. Patient, informative, and responsive are just a few words I can use to describe John (he even gave us his personal cell and checked in with us twice AFTER we drove off the lot). I'd be amiss if I didn't also give Ted Hampson credit for the outstanding job he's done with his entire sales team. Ted truly will go out of his way to make sure you're 100% satisfied with your purchase. If you're on the fence about purchasing a Porsche, make the time to check out the dealership and meet some of the people working here. They truly do have YOUR best interest in mind, not their own. This level of engagement and attention to detail doesn't happen by accident. It's clear that leadership is truly vested in the customer experience, their team, and the facilities (even the restrooms were spotless). Great Job Porsche Colorado Springs! You have a new raving fan and loyal customer! We truly love our 2019 Boxster S! I'm in the process of buying a new Porsche here and I'm working with Tony Cagle - so far this is the best buying experience I've ever had. The dealership and Tony are all so great to work with - no hard pressure and they're very knowledgable about the cars, which is critical considering the Porsche pedigree around driving experience and the amount of money that it ... takes to be apart of that pedigree. OMGoodness...we love this dealership. Everyone we've encountered has provided exceptional customer-service. Couple of shout-outs to...--Joanna, who is always delightful, --Andrew and Marcus in the Service Department, who are incredibly knowledgeable and extremely responsive,--Rick and Andrew in the Parts Department, who go above and beyond to help find accessories and ... sell them at very competitive prices. 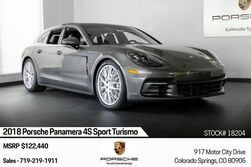 The guys in the Service and Parts Departments are soooo much more knowledgeable and service-oriented than the Denver Porsche dealership employees...so much so that we drive 45 miles to Porsche Colorado Springs instead of 15-25 miles to the Denver dealerships. --Rick and Andrew in the Parts Department, who go above and beyond to help find accessories and ... sell them at very competitive prices. The guys in the Service and Parts Departments are soooo much more knowledgeable and service-oriented than the Denver Porsche dealership employees...so much so that we drive 45 miles to Porsche Colorado Springs instead of 15-25 miles to the Denver dealerships. I stopped in when a warning indicator came on communicating that the additive required for my Cayenne Diesel emission system was low. We were 200 miles into a 1200 cross country trip and it was late on a Friday. Everyone went above and beyond to take care of my vehicle and get us back on the road. They even welcomed my dog in the showroom while we waited. We moved to Colorado from NYC with two (new to us) Porsche's - a Boxster and a Cayenne. After a horrible experience at Stevinson (a much closer dealership) we gave the guys at the Colorado Springs dealership a try, and we have been blown away by their knowledge, quality of service, and the overall experience. We've gone in for service a decent amount of times now, and ... they know me by name. Before I've asked any questions, I've done my research and have a good idea what direction I think we should go in - and every time Marcus and Andrew are on the same page or a few steps ahead of me, and I'm fully confident they are being honest with me on their thoughts, not trying to up sell me on anything. One of the last times the Cayenne needed servicing, Andrew knew we really wanted to use the 718 Cayman loaner to see if it was worth entertaining the idea of upgrading my Boxster (it is! ), but it wasn't in when we dropped off the Cayenne. We knew it'd be back soon and stayed in the area, and Andrew stayed past closing to make sure we were able to use the Cayman... completely unnecessary (he could have easily left it at 'it's not available') but so very much appreciated. Recently the dealership hosted a ladies track day, and it was not only one of the best days I've ever had - but by far an above and beyond gesture that took our opinion of them to the next level. I can't make enough positive remarks about the sales and the service team here. I sincerely hope to never work with any other dealership - of any brand!